The best engineers do not work within the constraint of what is possible. Instead, they think in terms of what is best. 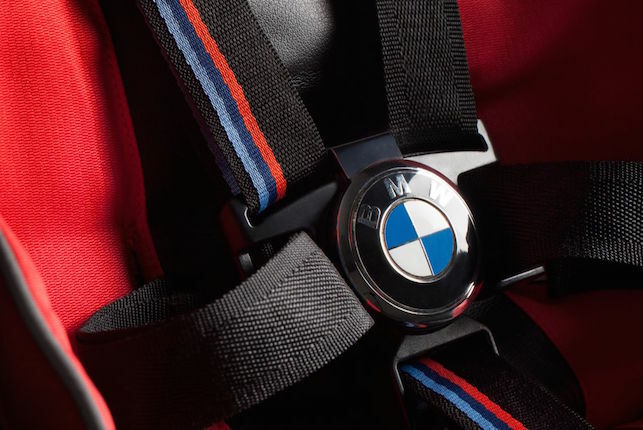 It is this atmosphere which gave rise to the BMW M Buggy from Maclaren. 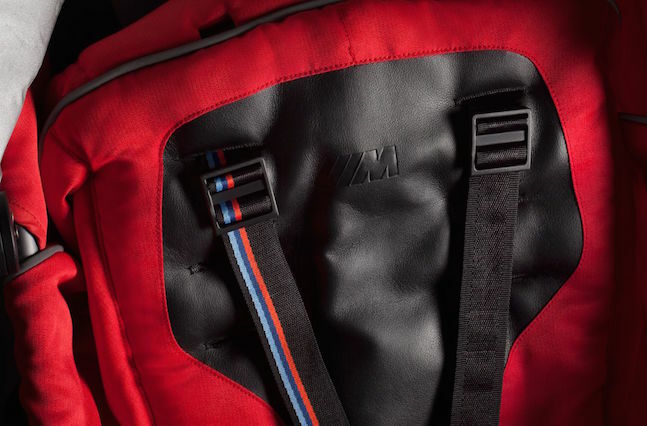 The BMW M Buggy features an automotive-inspired contoured seat with signature M stripe harness, BMW-inspired wheel design and luxurious leather handles. 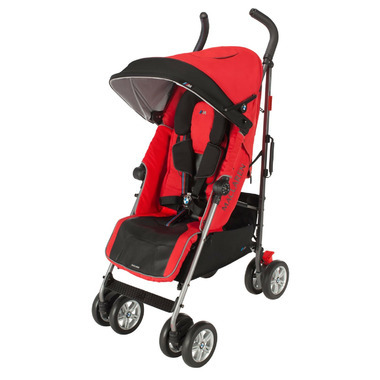 This Techno XT stroller includes an assortment of coordinating accessories. 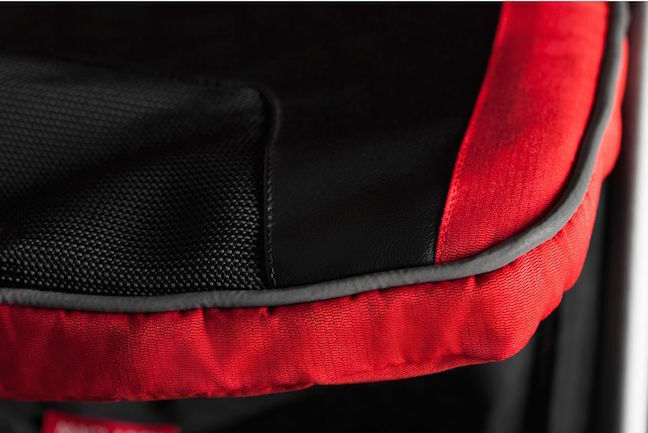 The oversized waterproof hood protects your child from the elements. 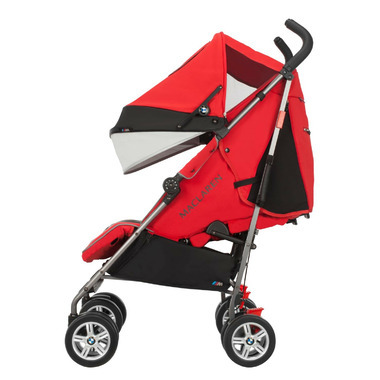 The extendable UPF 50+ sun canopy and built- in sun visor provides extra coverage from harmful UV rays. Maintain your buggy's performance with self- service replaceable parts. Accessories and parts like wheels, handle grips, seats and hoods are now available for purchase. 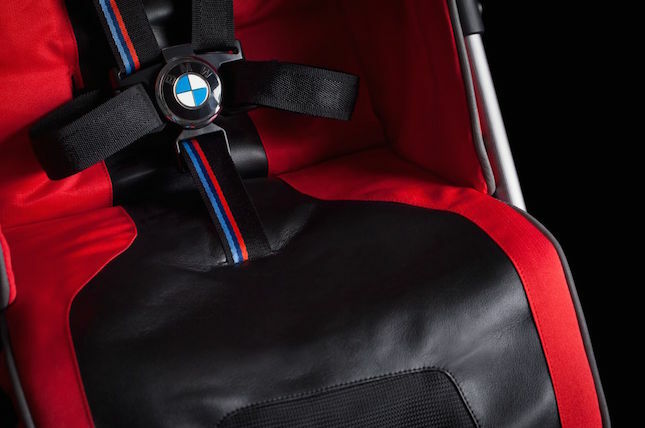 Engineered specifically for your Maclaren buggy. Built into every product is the Marclaren Global Safety Standards, a set of highly engineered security elements that meet the highest safety standards anywhere in the world.